If you see the error Package Broken or Not a Valid Win32 Application when trying to run installation of an Avast product on your Windows PC, the setup file may be corrupted or incomplete. To fix this issue, follow the steps in this article. Go to the folder where you saved the avast_(...)_setup_(...).exe setup file (by default, all files are saved to your Downloads folder). The file name includes the name of your Avast product and either online or offline, for example avast_internet_security_setup_offline.exe. Right-click avast_(...)_setup_(...).exe and select Properties. Go to the Digital Signatures tab. 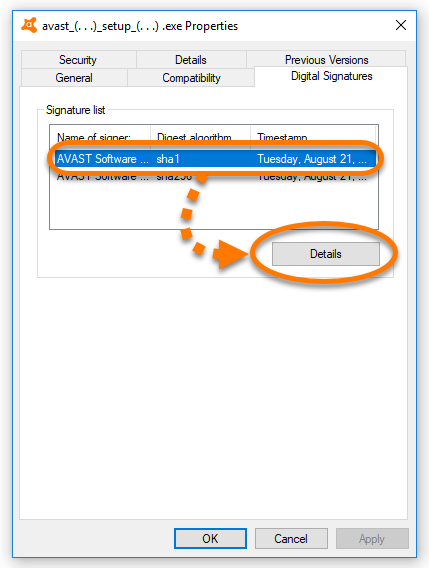 You should see either 1 or 2 digital signatures from AVAST Software s.r.o.. 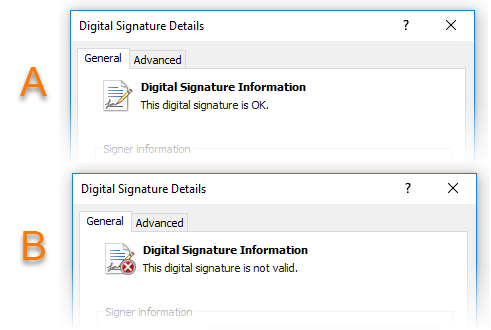 If you don't see the Digital Signatures tab, your setup file is incomplete or corrupted. Find solutions in the I have no Digital Signatures tab section of this article. Click a digital signature to select it, then click Details. Locate the message displayed below Digital Signature Information. Depending on which message you see, refer to the relevant instructions below. 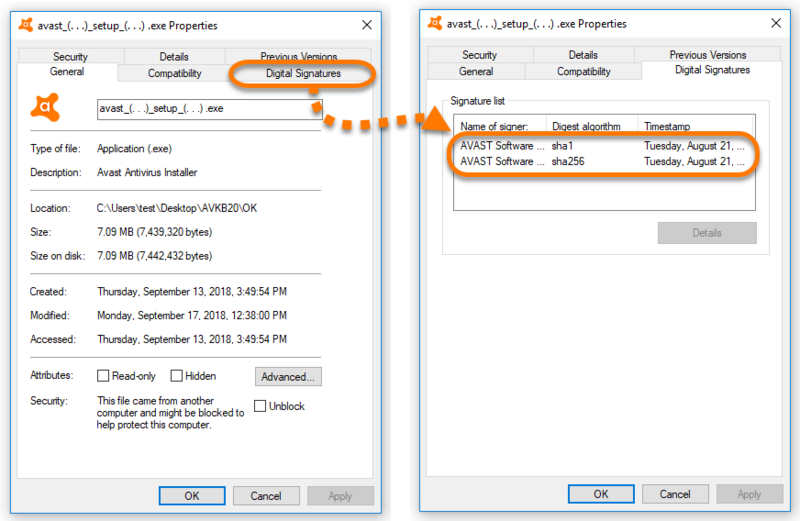 Download your Avast setup file on a different PC (using the relevant link from this article) and then transfer the file to your original PC using a USB or portable hard drive. If you continue to experience issues downloading the Avast setup file, contact Avast Support. Close all other applications and antivirus software which may be running in the background, then download the file again using the relevant link from this article. Download your Avast setup file on a different PC and then transfer the file to your original PC using a USB or portable hard drive.